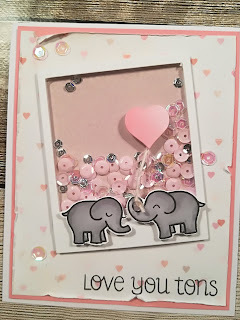 I needed at card for my daughter, so why not use the opportunity to follow the rules to participate in the Wednesday challenge at Simon Says Stamp, where the theme is "Frame it". 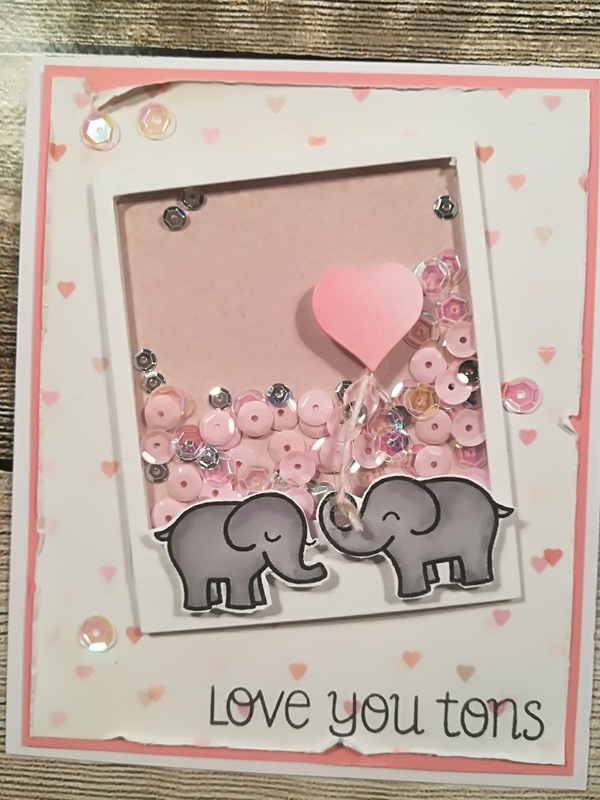 I have used a Mama Elephant die for the frame and two sweet Lawn Fawn elephants and shiny sequins inside the frame. AWE! I love elephants and these little Lawn Fawn ones are adorable. Such a pretty shaker card. Thank you so much for joining us at Simon Says Stamp Wednesday Challenge!